We live in times when culture matters, it seems, more than ever. Civilizations come and go, but what remains is their art, architecture and literature—their heritage. As a farsighted and increasingly influential award for today’s art and design, the Jameel Prize is encouraging creativity that celebrates the heritage of our times, counterbalancing news of conflicts with other stories, tales that draw on art’s universal themes of beauty, exploration and transformation. 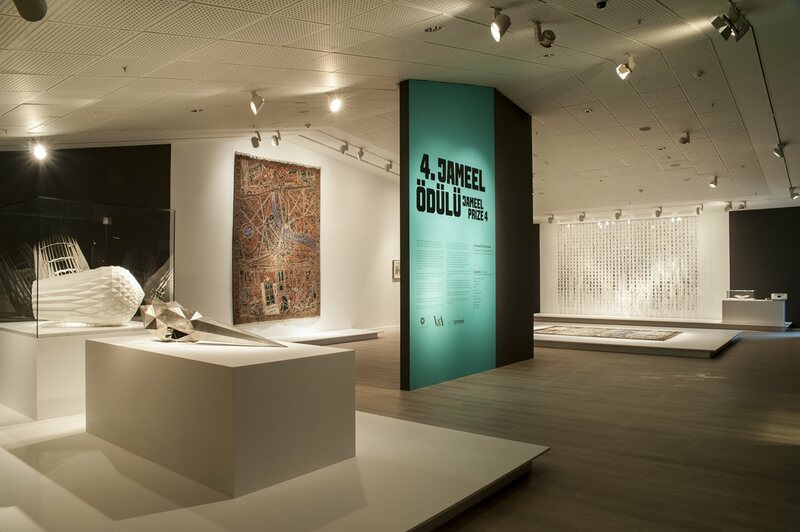 Every two years, the Jameel Prize is awarded for contemporary art and design inspired by Islamic tradition, encouraging artists to explore how long-established practices of Islamic art, craft and design can powerfully inform modern expressions. In doing so, the prize promotes dialogue about the role of Islamic culture in an era of sweeping change both in historically Islamic regions and beyond. Ghulam Mohammed is the first artist from Pakistan to win the Jameel Prize. Above, is his untitled collage of intricate texts in Urdu (the dominant language of Pakistan) layered on wasli paper. One such location that is no stranger to cultural dialogue is Istanbul, one of the world’s oldest crossroads of cultures, and on June 7 the Pera Museum in that city hosted the ceremony announcing the fourth Jameel Prize. The Pera Museum blends its holdings of Ottoman and Orientalist art with changing contemporary art shows, mirroring the interchange of tradition and modernity of the prize. Some of the work of the 11 finalists, selected from 280 entries, was huge and startling. But the 2016 prize went to Ghulam Mohammed, a young artist from Lahore, Pakistan, for five small, intensely intricate, delicately textured works of paper collage. First awarded in 2009, the Jameel Prize was founded as a cross-cultural partnership between Art Jameel, an arts and culture initiative in Jiddah, Saudi Arabia, and the Victoria and Albert Museum v&a. in London, which also exhibits traditional and contemporary art. This year was the first time the prize was announced and the art of the finalists shown in an exhibition away from the v&a. This helps “widen public appreciation of the role played by Islam’s great cultural heritage as a source for our own times,” emphasizes Fady Jameel, president of Community Jameel International, a social-enterprise organization with projects in Saudi Arabia and around the world, including the Jameel Prize. He adds that rich and varied Islamic traditions are shared by more than a billion people across a huge area from Africa to Indonesia, and many more countries around the globe. In a single process that can take months to create at single work, Gulam Mohamed cuts letters from antique books and reapplies them in layers on handmade wasli paper. "You have to be cool, calm and patient, breathing deeply," he says. It was his father, Mohammad Jameel, who sponsored the redesign of the v&a’s Islamic Middle East Gallery in 2006, when it was renamed the Jameel Gallery of Islamic Art. 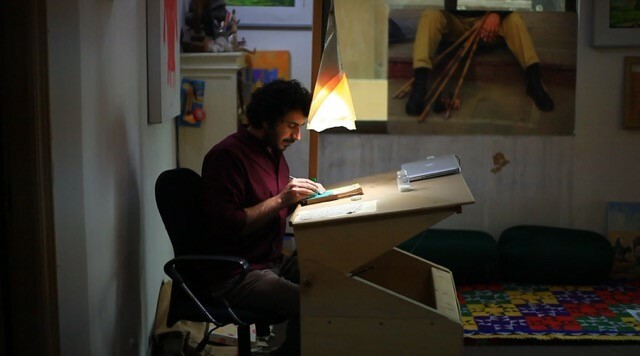 That same year, Art Jameel established the Jameel Prize with an award amount of £25,000. From the start it has attracted entrants from around the world: The fourth cycle saw entries from five continents. The prize’s exhibitions have attracted international viewer attention, too, touring venues as diverse as San Antonio, Singapore, Moscow and Morocco. The inaugural prize exhibit, in 2009, traveled to six cities in the Middle East and North America, and the 2011 show toured four venues in France, Spain and the us. Mohammed, who graduated just three years ago from Lahore’s Beaconhouse National University, is the first Pakistani artist to win the prize. Born in a remote village in Balochistan, he won a scholarship to Beaconhouse. “It was a miracle,” says Mohammed, who studied international contemporary art as well as Mughal miniature painting and calligraphy, all of which influenced his own work. To create his art, Mohammad visits antiquarian bookshops in Lahore, where he buys texts in Urdu (the dominant language of Pakistan) and uses them to create three-dimensional artworks. Using a process that can take two to three months for each work, he cuts out individual letters, pastes them in layers onto handmade wasli paper, and sometimes embellishes them with gold and silver leaf. It’s intense, concentrated work with results no larger than an average hand. The Jameel Prize can contribue to expanding our collective ideas of what global visual culture looks like. The Jameel Prize 4 exhibit at the Pera Museum. Equal in value to the influential Turner Prize for contemporary art, the Jameel Prize is certainly worth winning, but like other art awards, the value is not just financial. Because of its two-year international touring agenda, the prize ensures global exposure and prestige that translate into further opportunities for creative commissions, exhibitions and recognition. Mahnaz Fancy, editor of Dubai-based Canvas magazine, calls the partnership between Art Jameel and the v&a a “cultural diplomacy mission.” The award “serves as a platform for negotiating stubborn cultural polarization between the so-called Western and Islamic worlds,” she says. The Jameel Prize 4 exhibit showed 11 finalists works in additional to the five winning works by Ghulman Mohammed. Alternative modernities are happening everywhere. For the 2016 prize, British-born artist David Chalmers Alesworth, who lived immersed in the culture of Pakistan for more than 20 years, submitted “garden carpets,” re-embroidering carpets of Baluchi and Iranian origin. Lucia Koch from Brazil offered what she called “architectural interventions” created with screens that characterized Brazilian homes from the 16th century when Portuguese settlers brought Islamic traditions with them to the New World. The diversity of this year’s shortlisted entrants also frequently reflects social and political concerns, such as work by CANAN, an artist whose work is informed by her position as one of the leading defenders of women’s rights in Turkey: Using the visual language of Ottoman miniatures in photography, performance and textiles, she entered a painting titled “Resistance on Istiklal Street.” Iranian artist Sahand Hesamiyan takes elemental Islamic geometric and architectonic forms and transforms them into steel sculptures such as “Nail,” which alludes to the Crucifixion. As its legacy, the Jameel Prize is already providing “a much-needed contextual dimension and bridge across the divide between the Islamic craft heritage and contemporary practice, [and] it actually complements the rapid development of contemporary art from the region,” Fancy writes. On tour the prize gives emerging and mid-career artists an international audience, as some 172,000 people attended the first three prize exhibitions. This year, for the first time, prize organizers have produced a comprehensive catalogue featuring essays by both shortlisted artists and designers as well as academic contributors. 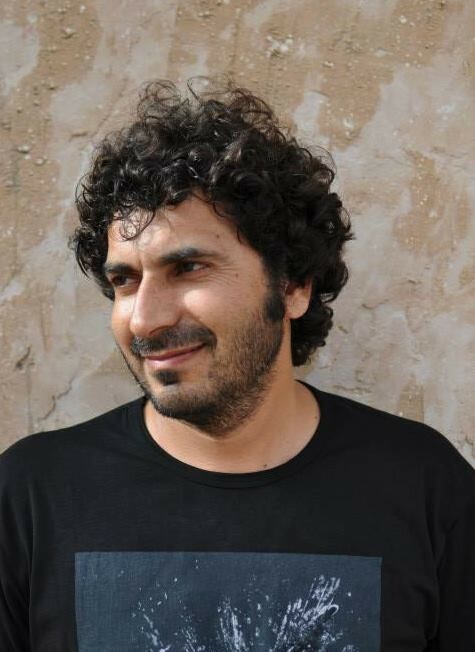 Jameel Prize winner 2009, Afruz Amighi, "1001 Pages." Jameel Prize winner 2011, Rachid Koraïchi, "Les Maitres Invisibles" ("The Invisible Masters"). Jameel Prize winner 2013, Dice Kayek, "Istanbul Contrast." Submissions for the prize are from both artists and designers, and it welcomes work that is not just “fine art.” This means architectural submissions, too, which, like product designs, interact with craftsmanship such as calligraphy and graphic design. This is especially important as Islamic craft heritages are threatened in areas of conflict, by falling tourism and from competition with inexpensive manufactured alternatives to artisanal works. With this inclusive approach, the Jameel Prize, says Venetia Porter of the British Museum, “stands as a testament to artists and designers who, in a myriad of subtle ways, encourage us to look at the world from another angle — a place where politics take second place to human aspiration and creativity.” A place where always there is more than one story. Originally trained as a photographer, Juliet Highet lived in East and West Africa as well as India, subsequently also traveling to 53 countries, some many times. In Nigeria she began writing professionally and on her return to the UK began editing books and magazines. Now, as a writer and photographer, she is widely published on travel, the arts, perfumery and more. She is the author of Frankincense: Oman's Gift to the World (Prestel, 2006) and a specialist in contemporary Arab cultures and heritage.